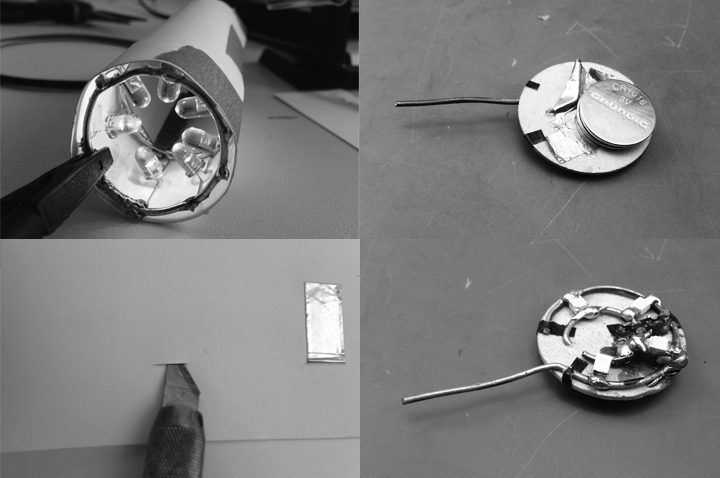 The project was set of with the purpose of exploring aspects of coming technology: printed circuits. 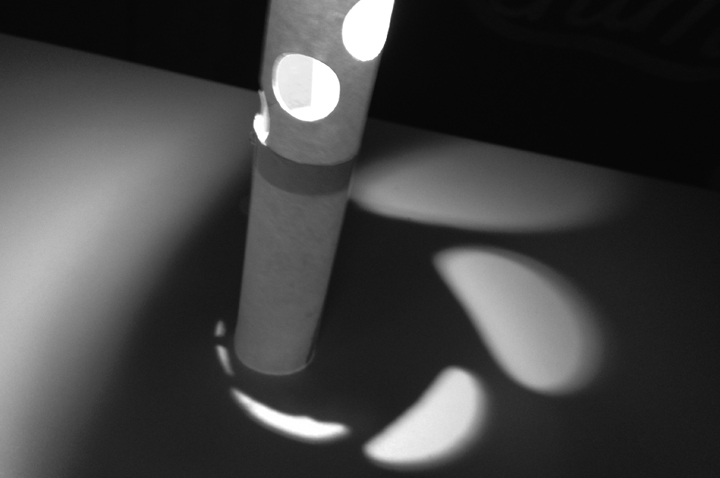 The main focus was to test, discover, mix or find ways of interacting with paper and the properties it holds. 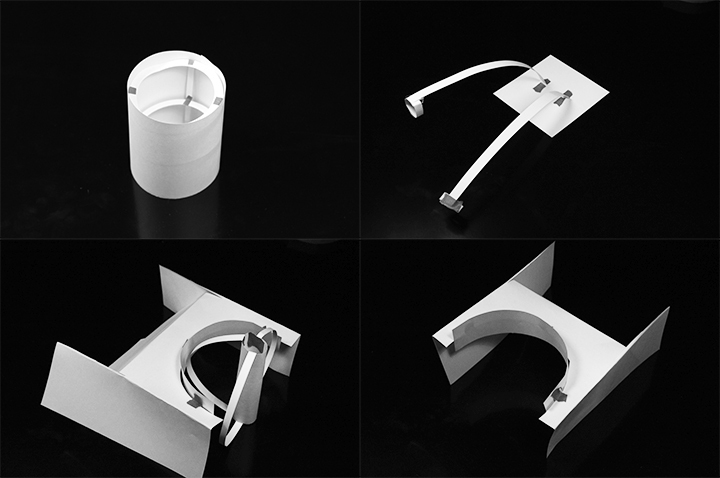 all efforts where driven to prototype ways of interacting. 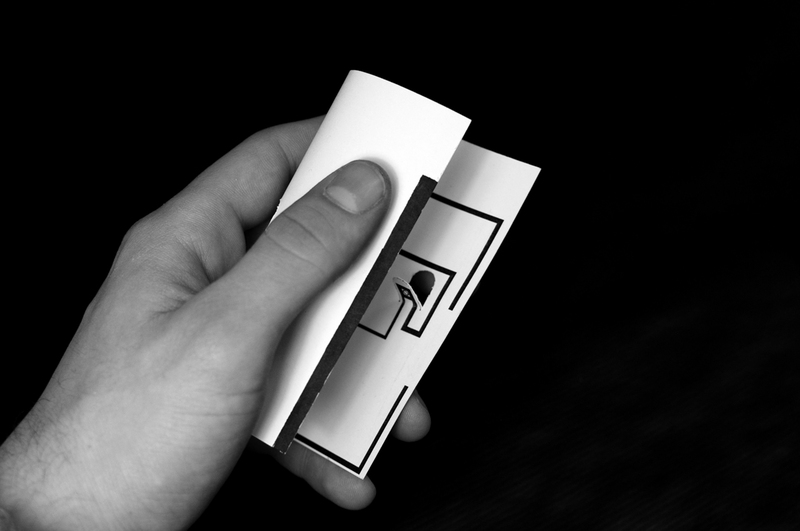 The outcome of this project is not just a working prototype, but also a graphic representation of all the electronic elements (circuits, battery and AMOLED) it would be possible to print on paper to realise the final product. The prototype is composed by two cylinders overlapped. 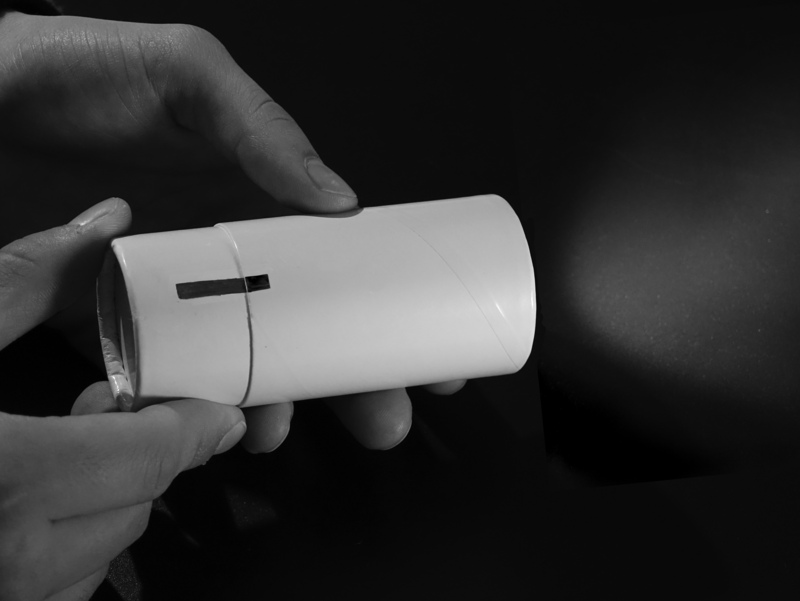 Inside the intern cylinder is placed the circuit with the battery and 4 LED connected in parallel. 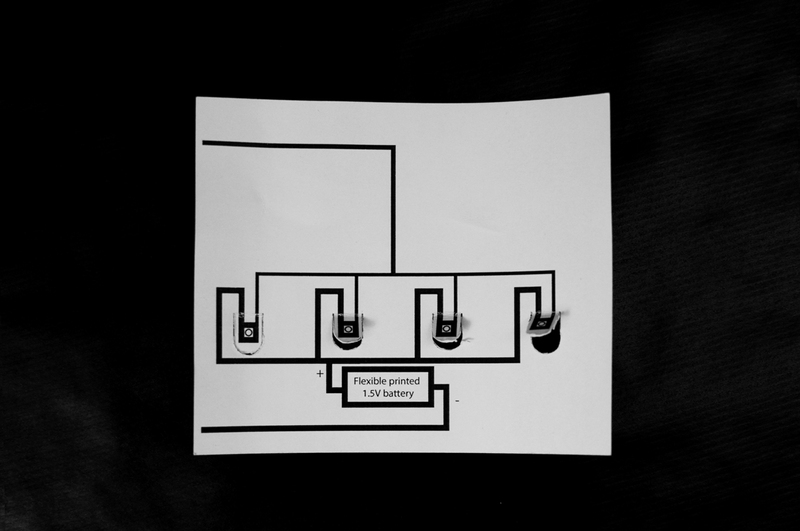 The circuit is on both sides of the paper and it is closed only when le line on the extern side are connected. 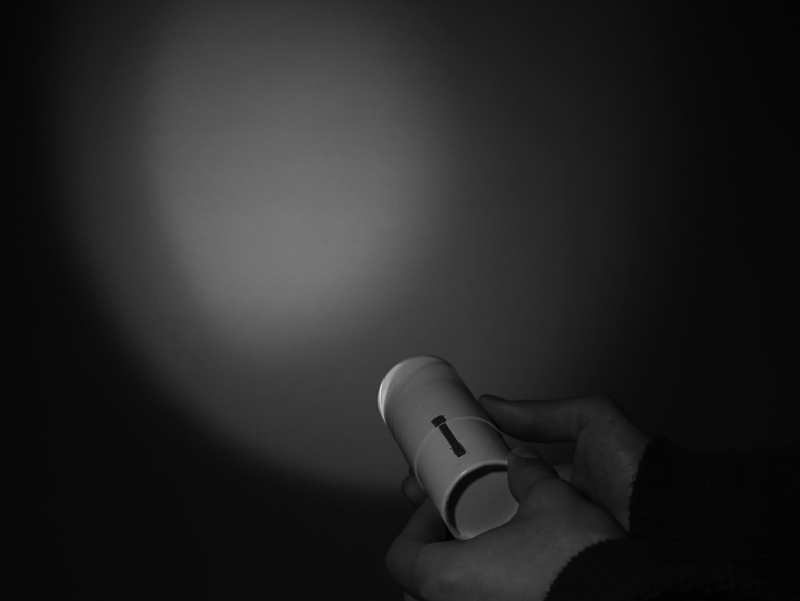 Rotating the extern cylinder is possible to move a third line, placed in the intern side of it, so it connect physically the other two, turning on the light. 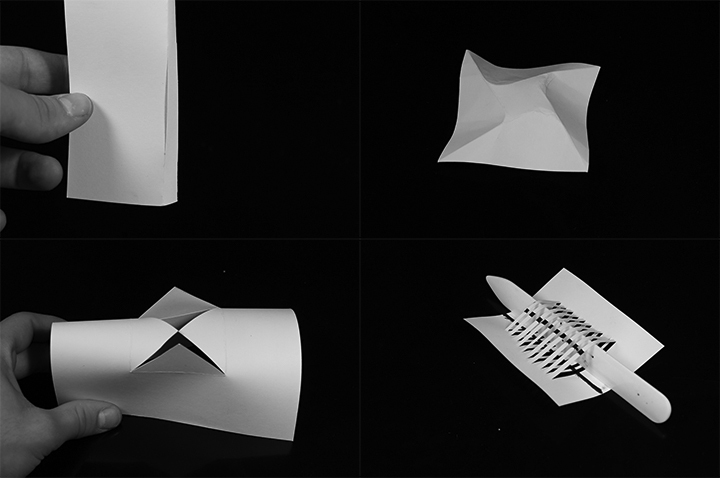 The final product has two different variations, one composed by two different cylinders and the other one even more simple, composed by just one foil paper. In the first case it would work as the prototype. 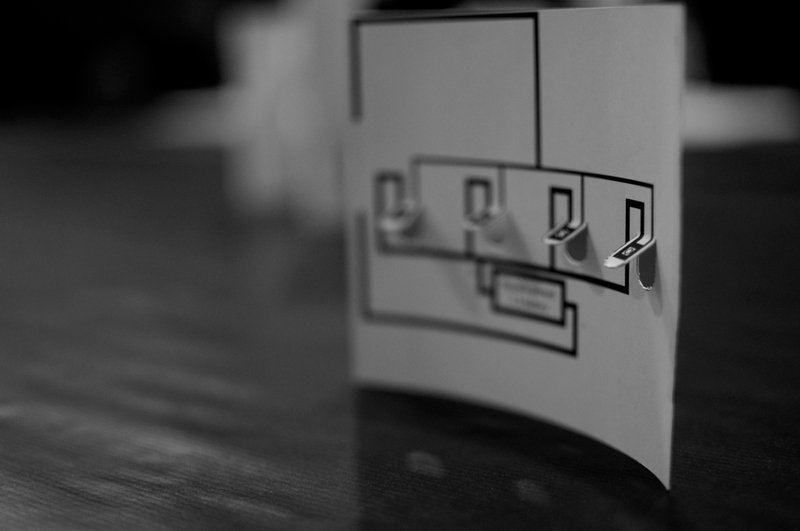 The second product is designed having the third line for the connection on the opposite side of the rest of the circuit, so when the user would roll it the line are going to be in contact, lighting the lamp. 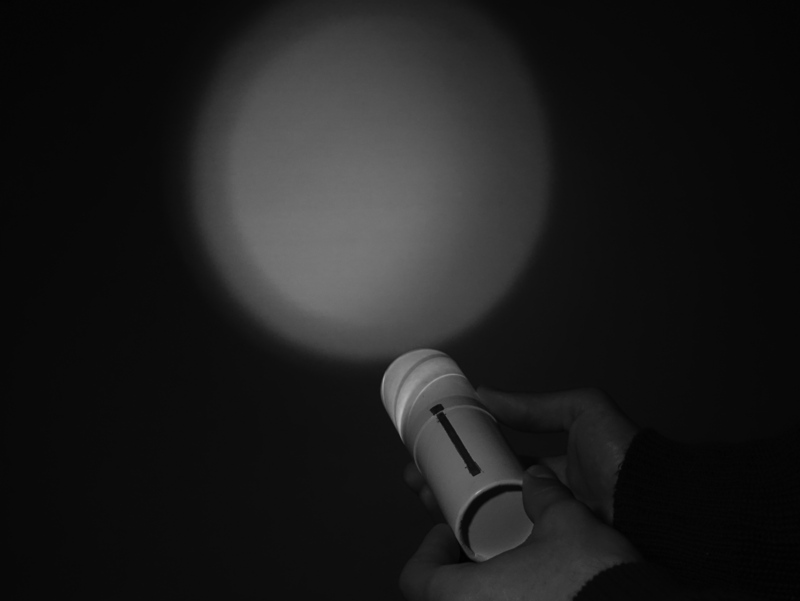 In the final version with two cylinders is possible to control the dimension of the light spot by adjusting the position of the external cylinder: close, semi-close and open. The most ecological object is the one you never throw away. 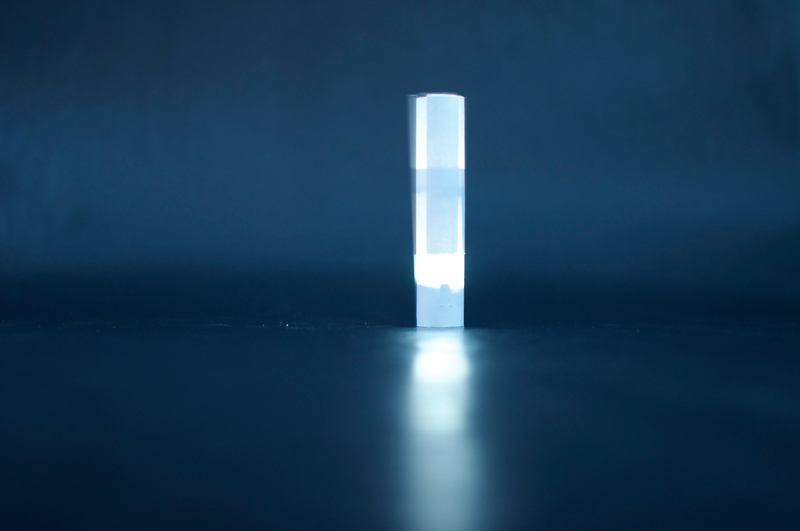 For this reason we developed the idea of recycling the most of our product to not let it be just a disposable lamp. 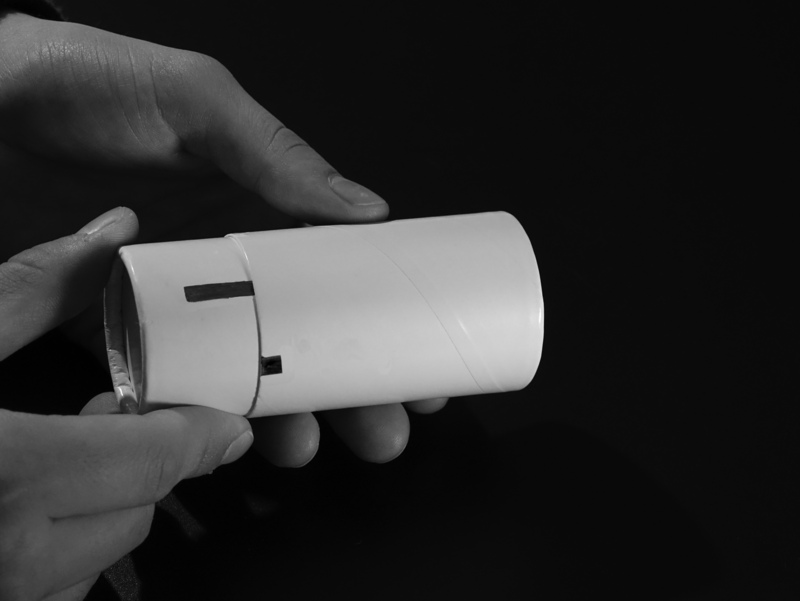 The intern cylinder could be equipped with a rechargeable battery and the user could just change just the extern cylinder. 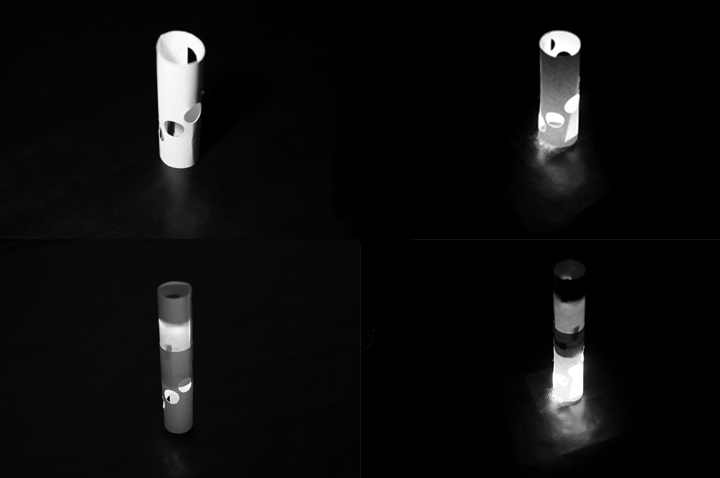 Portable and hand-pocketed size lamp where the characteristics of the paper as a non expensive, resistant material would be enhanced and noted. be present. 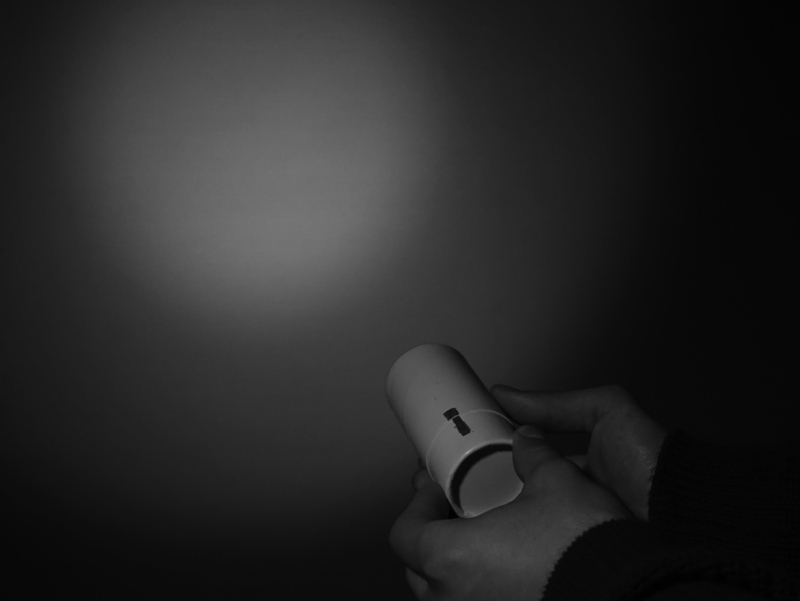 Also as a hand lamp it would be light, reusable and therefore resistant as the circle is one of the most resistant figures and a cylindrical shape holds those characteristics as well as others of refinement and simplicity.